Vulnerable and decreasing. However, there are a couple subspecies classified as Critically Endangered. 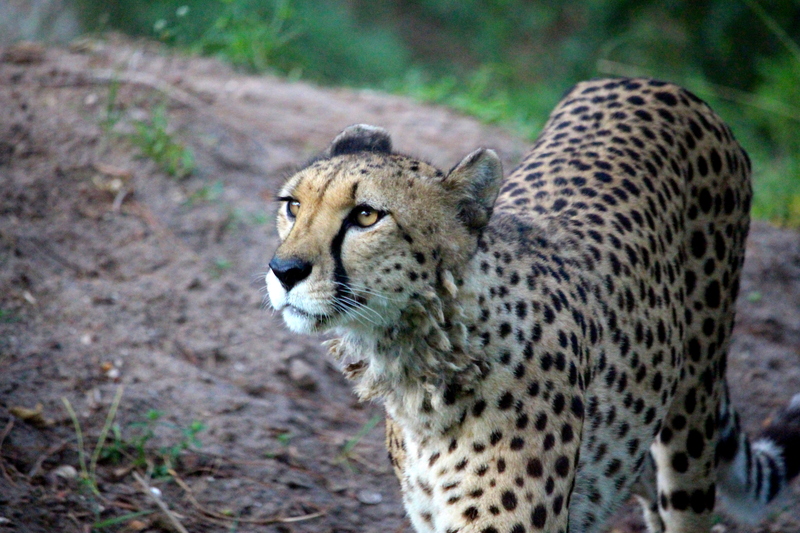 Cheetahs are the fastest land animal. They can run 70 mph and can reach top speed in just 3 seconds. Cheetahs have "tear marks" that run from the inside corners of their eyes down to their mouth. These marks help reflect the glare of the sun when they are hunting during the day. Cheetahs can't roar, so they are not classified as a "big cat." Cheetahs have semi non-retractable claws (almost like a dog's) that work like cleats to give the cheetah traction when running. At Naples Zoo, we have two cheetahs who are sisters.